Members of the Chilliwack Youth Empowerment Group are offering "Peace Week" from Monday July 17 to Thursday July 20th from 10:00-12:00 in the Fairfield Island area of Chilliwack. All Children from 6-12 years of age in Chilliwack are welcome. 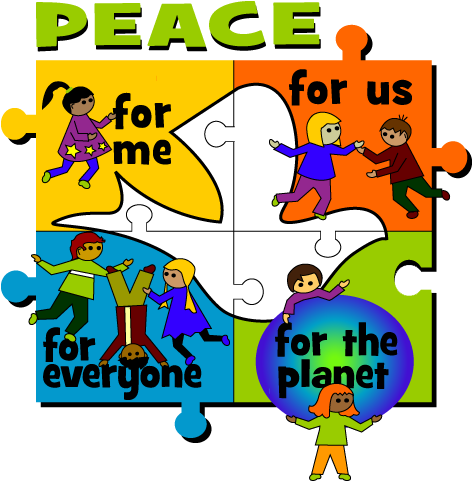 Each session will build on the theme of Peace starting with peace with in ourself, then looking at peace in our families, with our friends and in our community. The 4th day will include short community service project. Games, crafts, songs and fun are planned for each day. One of the songs that the children will learn is "I've Got Peace in My Fingers" by Susan Salidor. https:www.youtube.com/watch?v=5UhXG2Sk1l8. Bring a hat, sunglasses and sunscreen as some of the activties will be outside. For more information please call Cheryl at 604-703-1863.